The Russian Society of North Rhine Westphalia e.V. is a registered association for the promotion of the Russian cultural goods and represents an equivalent to the French “Institute Français”. In cooperation with ARTGATE, the Russian Society attempts to bring together German and Russian personalities during an art journey to Moscow. Apart from the discovery of exceptional art sights and outstanding cultural Russian outlets, the trip promotes the intensification of international understanding. The journey is supported by the Civil Chamber of the Russian Federation, an organization assembling important personalities from Russia having distinguished merit for the Russian state and society. 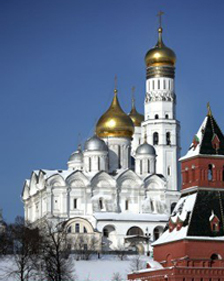 Take part in an exceptional prolonged weekend in Moscow!